Being President doesn't make things any easier, Jack Ryan finds out, especially when trouble's brewing in Moscow and China. Blending the exceptional realism and authenticity that are his hallmarks with intricate plotting, razor-sharp suspense, and a remarkable cast of characters, this is Clancy at his best - and there is none better. 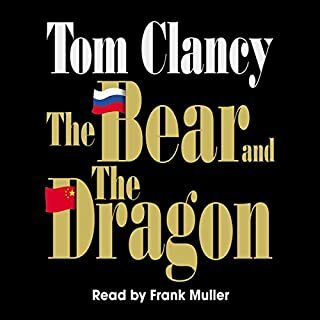 Ryan makes another appearance in this Tom Clancy novel. The build up and creating the atmosphere of the problems that Ryan face is tremendous. The description of what takes place on the boarders of China and Russia is fantastic. It was a good read.